Detailed forward budget and cash flow projections are an increasingly important management tool for modern farming businesses. Once finalised with the client, our consultants monitor the actual versus budgeted levels of income and expenditure to ensure that potential variations are addressed and performance targets are met. We assess the historic financial and physical performance and sustainability of farming and rural businesses to identify potential strengths and weaknesses, opportunities and threats. We then address the clients personal and business objectives to get an understanding of how they wish to take the business forward. As part of the appraisal we also benchmark enterprise performance against industry data and analyse areas of strength or weakness to investigate potential opportunities for improvement. Ultimately we provide our client with recommendations on how to address key issues and to take the business forward including a step by step action plan. Providing objective, independent and confidential advice and guidance through all manner of difficult situations and exciting opportunities. This may include family disputes, business restructuring, succession planning, developing a new enterprise, asset management and investigation of investment opportunities. With continued pressure on farm profitability, it is crucial that managers analyse fixed costs within their business to ensure efficiencies are being achieved. Benchmarking is employed to further scrutinise these costs, such as labour, machinery and property costs by comparing the client’s data with industry data for similar scale enterprises. If inefficiencies are found we would then work with the client to restructure the area of inefficiency and negotiate with the supply base to achieve a more cost effective solution. We assist clients in completing annual Single Payment Scheme applications, entitlement trading, RLE1 form completion and digitised mapping enquiries. We are trained to provide advice on all matters relating to the Scheme and have an excellent working knowledge of the RPA and their administrative systems. We assist clients in tendering for Farm Business Tenancies and Contract Farming opportunities, helping to prepare realistic farm budgets and farming proposal documents. We also provide a rent review negotiation service for landlord and tenant clients to ensure a sustainable rent and return to both parties. 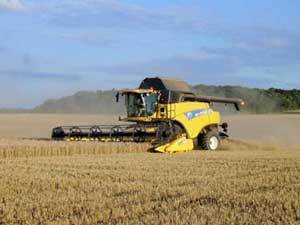 We offer a specialist service to enable you to recruit the very best agricultural based personnel. Our wide experience and knowledge of people within the industry helps us locate the right person giving you advice on financial packages, contracts of employment and training. We can guide you through the interview process taking the hassle out of the recruitment process. Robin Turney is Regional Co-ordinater for Fresh Start in the Eastern Region, which is a training and career development programme for young rural people operated in conjunction with the regional colleges. Fresh Start creates a network for graduates and young rural people looking to advance themselves in the industry and we seek to facilitate recruitment opportunities for young people and potential employers alike.